Open the Operations Manager console and go to the Administration section. Select the Management Packs node in the left pane and click Import Management Packs in the Actions Pane. In the Select Management Packs window, click Add and then Add from Disk. In the Online Catalog Connection window, click No. Browse to the Veeam.Report.Library.mp file and click Open. In the Select Management Packs window, click Import. 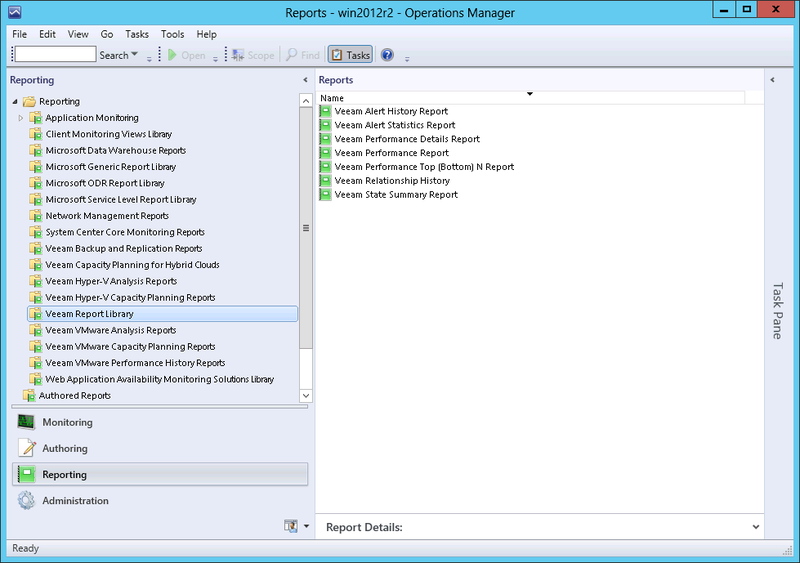 The Veeam Report Library folder will become available in the Reporting pane as shown below.